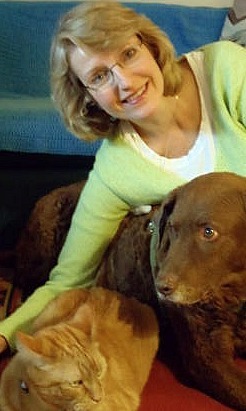 Kate Solisti, internationally known speaker, author, and educator, has been a professional animal communicator, communicating telepathically with animals since 1992. 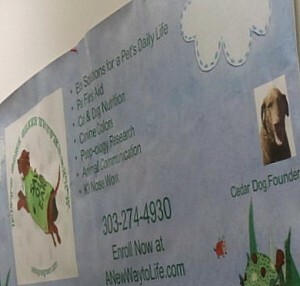 During this time, she has worked with individual animal guardians, trainers, and holistic veterinarians, assisting in solving behavioral problems, understanding health problems, healing past traumas, and facilitating understanding between humans and non-humans. In the fall of 2000, Kate published, Conversations with Dog, An Uncommon Dogalog of Canine Wisdom. This is the first book to ask dogs what they think and feel about living with human beings. Conversations with Cat, An Uncommon Catalog of Feline Wisdom was the next book in the series released in October 2001. Conversations with Horse, An Uncommon Dialog of Equine Wisdom was published in June 2003. Her books have been translated into Korean, German, Italian, Russian, Portugese, French, and Czech. All three Conversations books were re-released in new editions by Council Oak Books in 2004. 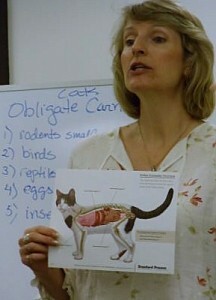 Kate's book, The Holistic Animal Handbook, a Guide to Nutrition, Health and Communication, was published in May of 2000. It was simultaneously published in German as SpirituellePartnerschaft mit Haustieren. The Holistic Animal Handbook was revised, updated and re-released in a new edition by Council Oak Books in 2004. Solisti has also produced two videos on dog & cat nutrition and preparing balanced homemade diets. Kate lives in Niwot, Colorado with her cats Azul, Lily and Simon. a mouse, bird, rabbit or deer. In addition, I discuss recipe variation suggestions for your own animals, including dog breed specific recommendations, along with various options -- raw, cooked, canned, dry, and frozen, so you can choose what combination is best for your animals and your lifestyle. I spend time instructing you how to transition your dog, and especially cats, to healthier foods. This class teaches you what you need to know to have well-informed discussions with your vet and/or breeder/trainer so that YOU can choose the best foods for your own animal companion(s)! Have you ever had the feeling that your animal companion was trying to tell you something, but you couldn't quite get it? Your intuition switch may have been turned on, but the current wasn't flowing! What is this intuitive "current" and how do you get it flowing so that you can "hear" your animal more clearly? How can you communicate more clearly to your animal so that they understand you better? Join us for this fun two hour seminar and learn how to open to receive non-verbal messages, how to develop your intuition and improve your inter-species communication skills.